Legendary Asian actor and director Jackie Chan will play one of the main characters in the saga. After the financial success of the film Viy 3D (Russian: Вий), which took $35 million at the Russian box office, director Oleg Stepchenko and his team have decided to shoot a sequel. The script for the follow-up to the original hit was written in 2014, with the action of the new movie taking place in China. 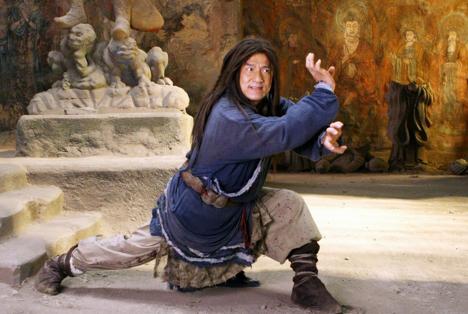 The role of one of the main characters in the saga will be performed by legendary Asian actor and director Jackie Chan. The film has been given the working title Viy 2: Trip to China and will be produced in 3D as well. Viy 2: Trip to China will hit the big screen only in 2016. Viy 3D (2014) is a dark fantasy film loosely based on the Nikolai Gogol story Viy. According to officials, the plot of the sequel has little to do with the plot of the story by Gogol. However, the director believes that stories like this could occur in different parts of the globe, as the subject matter of Viy is eternal. It is reported that the film will be full of stunts and special effects. The central character, an English traveler who goes to China in the 18th century in order to produce maps of the Russia’s Far East, will meet magicians embodying various natural elements and even the king of all dragons, Loon Wang. The first adaptation of Gogol's story is considered to be a silent short film directed by Vasily Goncharov in 1909 that nominally became the first horror film in Russia, although the tape has not been preserved. The 1967 film Viy became the first domestic Russian horror to be based on Gogol's story, and topped Soviet film distribution in 1968. It was seen by 32.6 million viewers.